A boring meeting in a boring conference room can be intolerable. But a boring meeting in an elegantly designed, state of the art conference room can be very tolerable indeed. As long as you’re sitting in a nice chair, have a smooth mahogany table in front of you, and are surrounded by striking interior design, no amount of discussion concerning budgets, marketing strategies, or team training can fully put you to sleep. 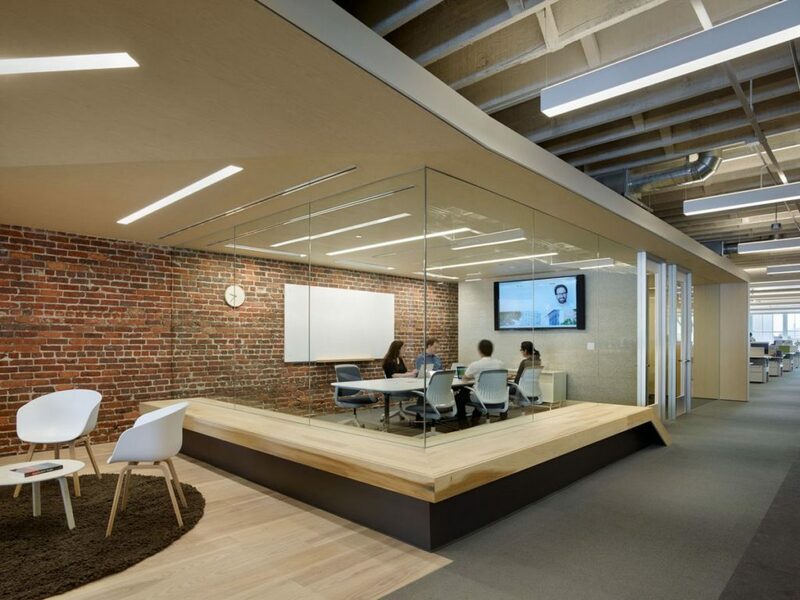 Next to caffeine, strong conference room design is arguably the most powerful stimulant that’s legally available. 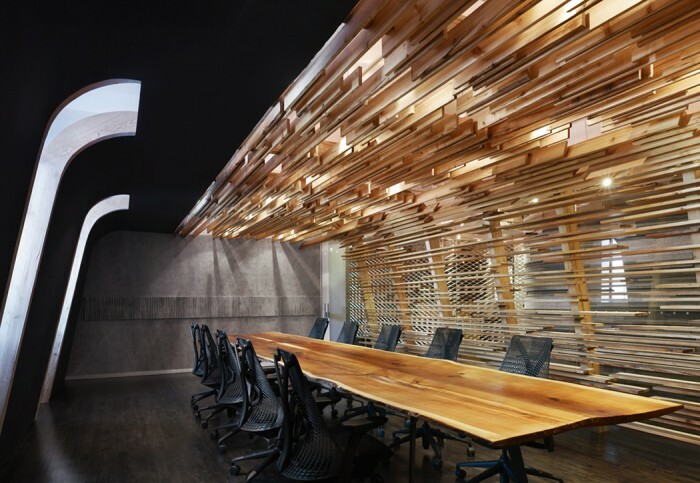 So for those of you seeking to nap-proof their conference rooms through bold, attention-grabbing design choices, here are 10 examples that you may want to turn to for inspiration. The first thing you’re likely to notice about this conference room is that there are giant spikes sticking out of the ceiling Mortal Kombat-style. But if you look more closely, you’ll notice some other design elements that are just as interesting, such as the circular LED light covered by a wooden lattice, the row of tiny spotlights, and the two TVs conveniently arranged on the wall so that no one has to strain their neck. Note that neither TV is connected to the table via unsightly HDMI, VGA, or mini DisplayPort cables. 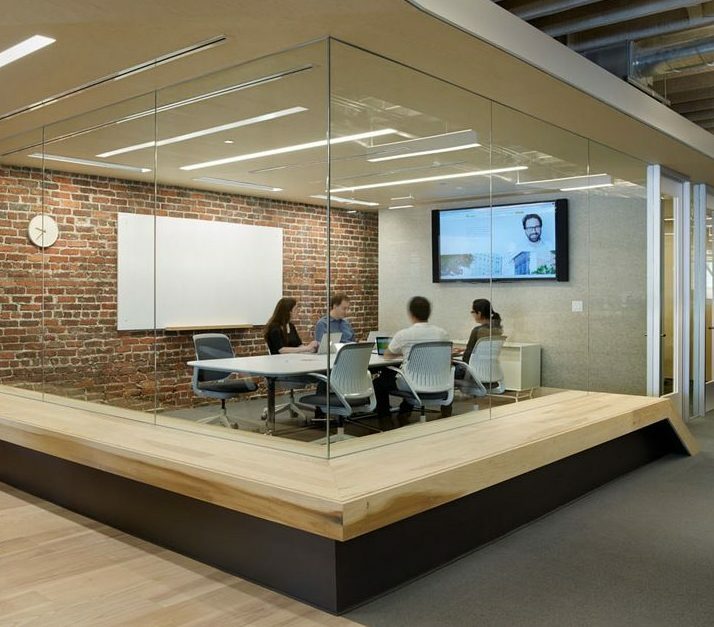 For most businesses, having a smaller huddle space that floats over your meeting room may not be feasible. 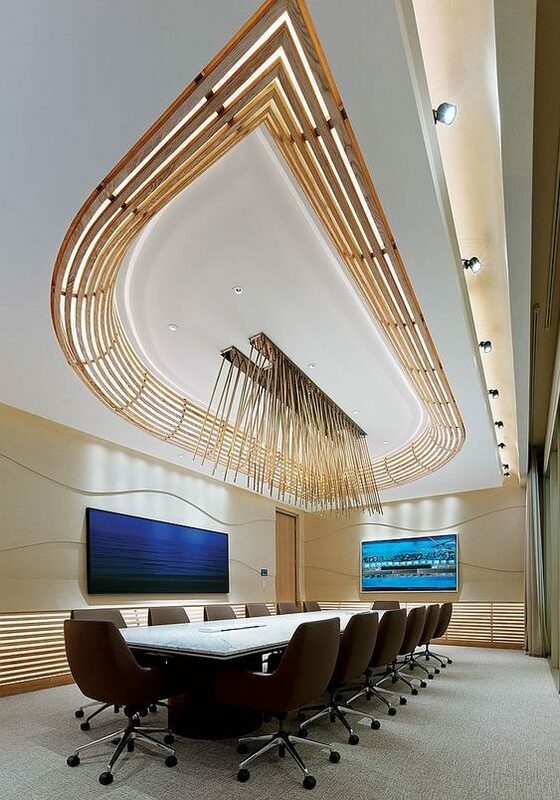 But if you just crop out the top portion of the above picture, then recreating this conference room becomes quite a bit easier: All you need are some cylindrical lights, a dozen stools, and a narrow, minimalistic table. It may not look as cool without the floating huddle room, but it should still look pretty cool. 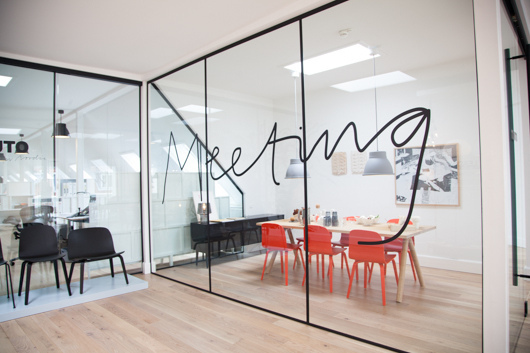 A great way to jazz up a meeting room is to encase it in glass. The above meeting room layout, for instance, is about as dull as it gets: boring chairs, generic desk, plain, colorless walls. But encase it all in glass and suddenly you feel as though you’ve just teleported to the year 2029. The left side of the room looks like the alien spaceship from the movie Arrival, the right side looks like the workshop of a carpenter with extremely poor hand-eye coordination, and yet somehow it all fits together in a way that seems perfectly natural. If it weren’t for the giant glass ceiling revealing the forest in the background, you’d be forgiven for thinking that this conference room was located on the Internation Space Station. 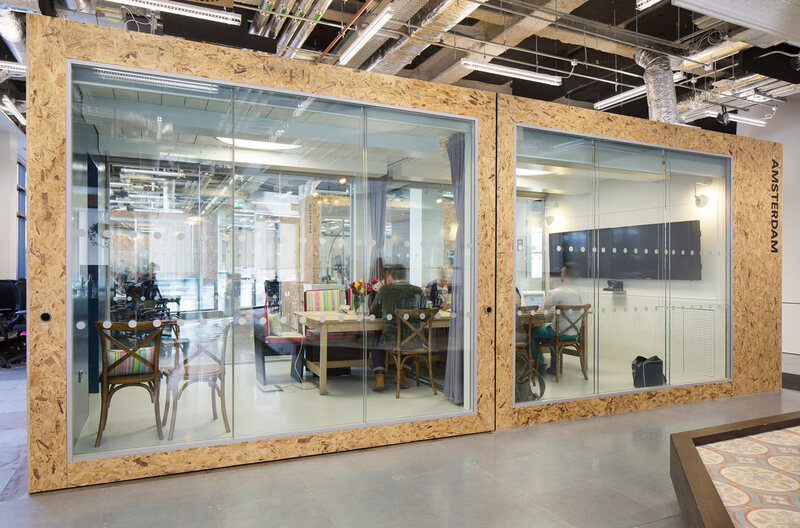 Encasing a conference room with just two panes of glass is one thing; encasing it on all sides and then installing privacy curtains is taking it to the next level. 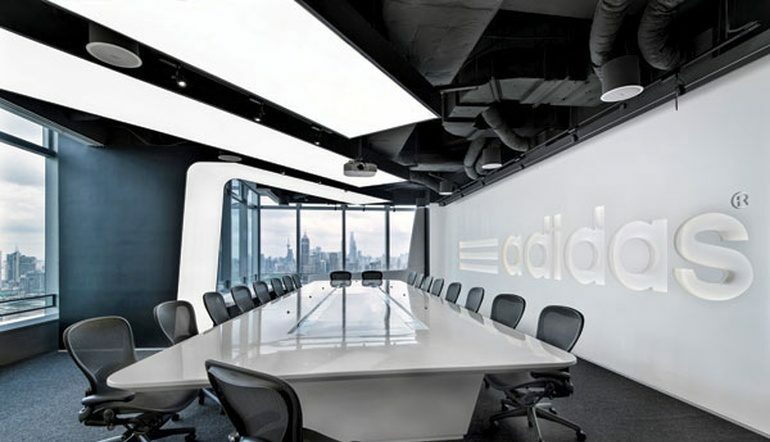 Although not all businesses have windows that overlook the Shanghai skyline, the other things that make this conference room design stand out are easier to emulate, namely giant overhead LED lights, an enormous conference room sign, and a projector that’s been mounted to the ceiling. (Note: Due to the lack of wires dangling from the ceiling, it’s probably a safe bet that they use a wireless presentation solution for meetings that involve screen sharing). 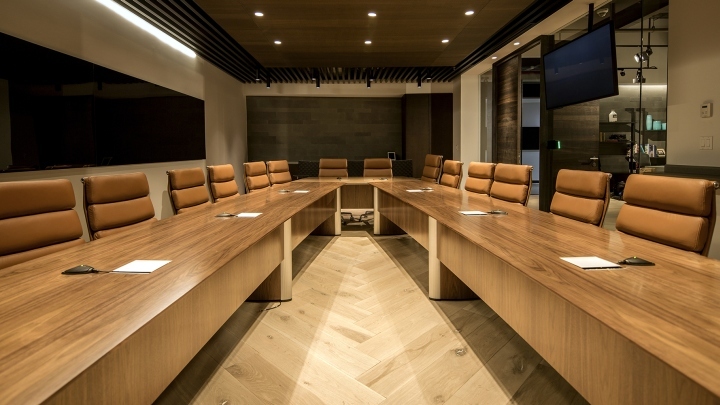 Credit where credit is due: Whoever designed this conference room came very close to achieving the impossible—creating a cabled conference room that looks presentable. At first glance, it may appear as though the TV’s aren’t connected to the table. But take a closer look and you’ll notice what appear to be connectivity boxes in front of every other seat. You’ll also notice that the table is significantly bulkier than any of the others on this list. This is likely because the table is housing a couple dozen HDMI, VGA, mini DisplayPort, USB, and whatever other cables end users may need to connect their laptops to the screen. 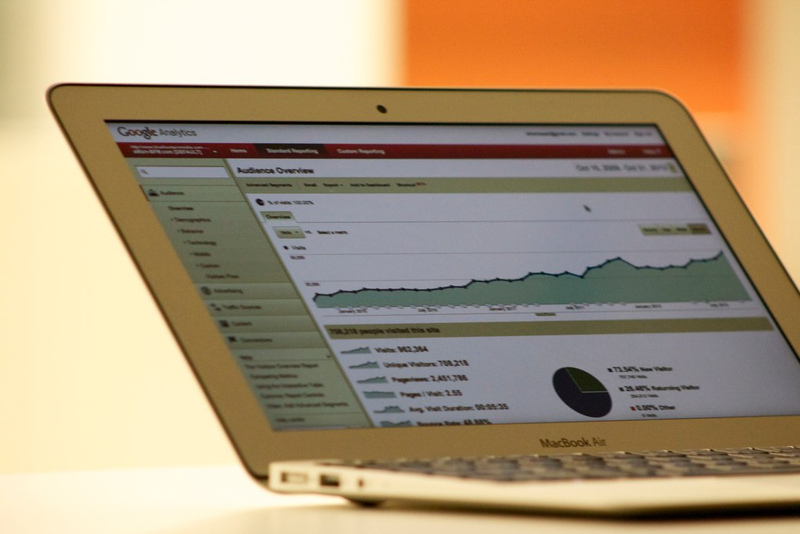 Google’s trademark use of bright primary colors in their meeting rooms has been widely imitated by companies all over the world for many years now. 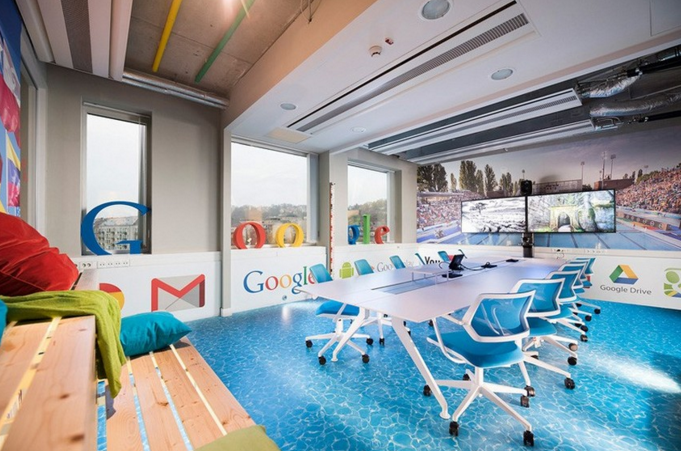 But less widely imitated is the floor of Google’s Budapest conference room, which creates the illusion that the table is floating in the middle of a swimming pool. Frank Gehry’s 1997 conference room design exists only in a Princeton museum, and it’s easy to see why it hasn’t seen any real-world use: Mounting a flat TV to those walls could be a challenge. 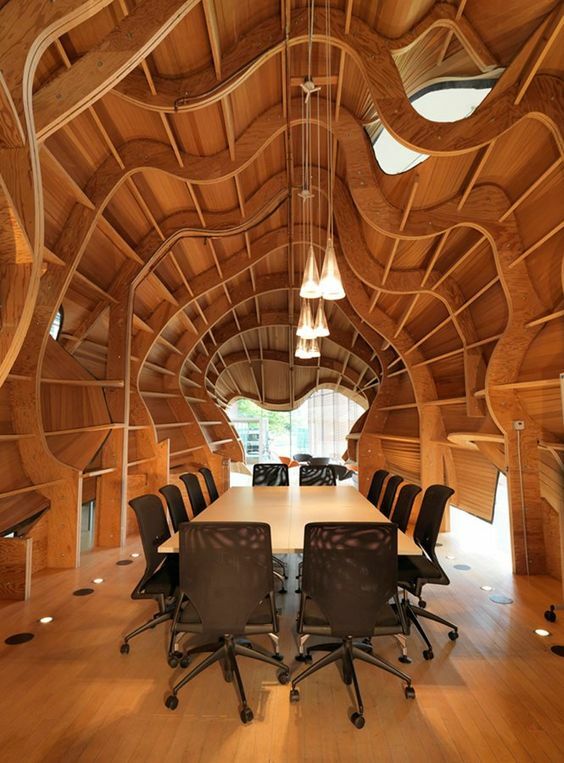 But if you want an innovative, attention-grabbing design and have access to a lumberyard full of curved wood, conference rooms don’t come much more attention-grabbing than this. No article on conference room design is complete without a note on the restrictive nature of cables, which are to interior designers what handcuffs are to convicts. Luckily, there’s an easy way to avoid cables. 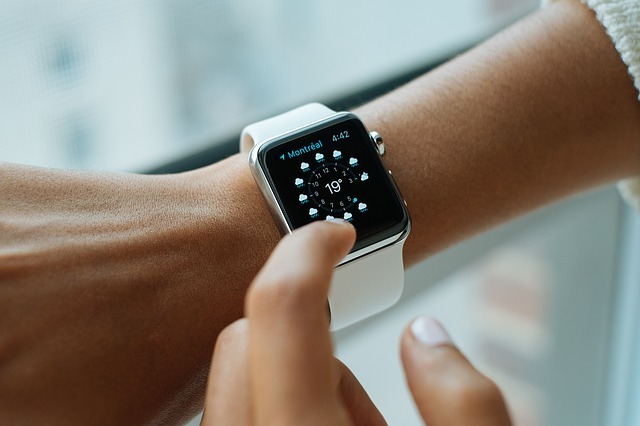 By implementing a wireless presentation system in your conference room, you can allow your end users to share their screens with just 1 click of a button. No cables, no headaches, no hassles. Wireless Projection vs Traditional AV Installation: Which One Do You Pick?